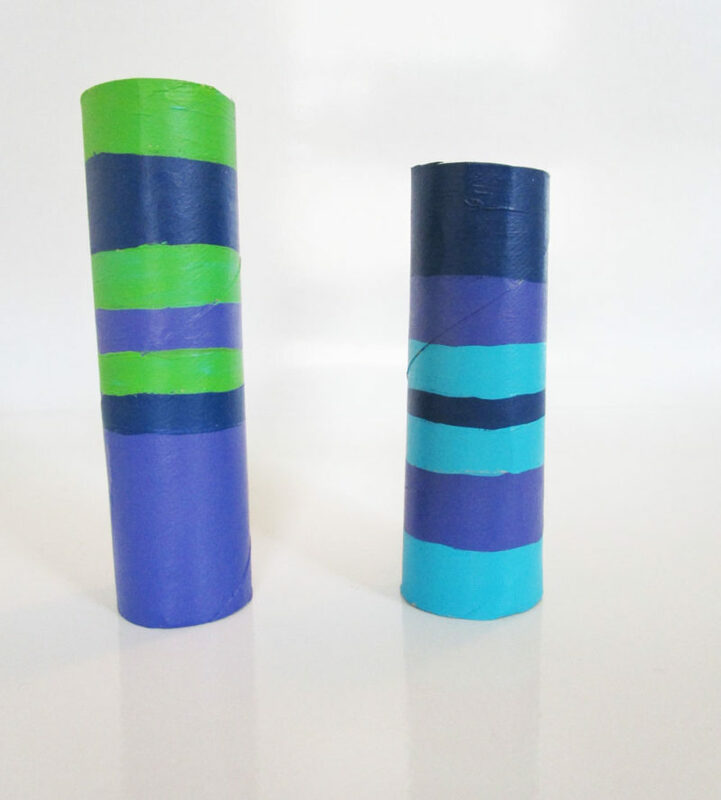 Now, since you and your students/kids will be blowing into these, I would recommend using paper towel or wrapping paper tubes – rather than toilet paper tubes – for obvious reasons. 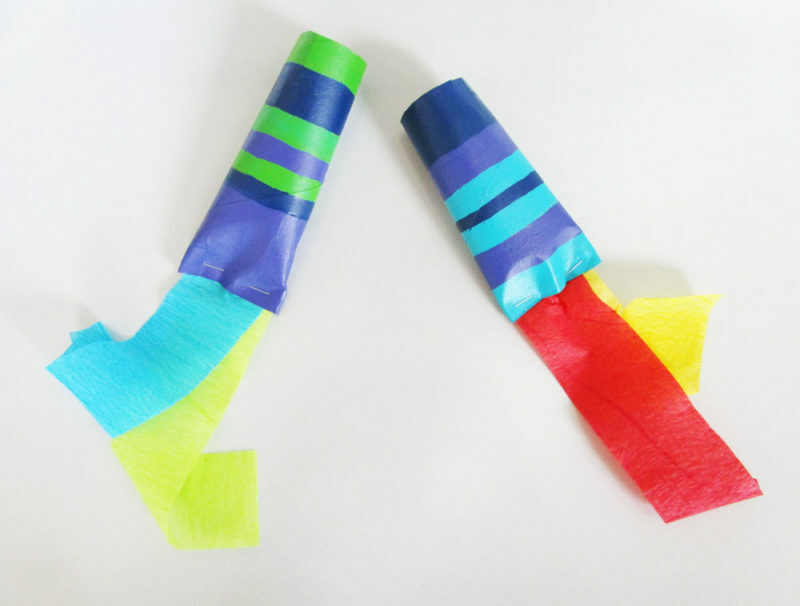 Also, I happened to have party streamers kicking around, but you can use tissue paper instead. Just cut it into strips, about 5cm (2″) wide and 20cm (8″) long. First, cut the tubes into 15cm (6″) lengths. Then, paint them. 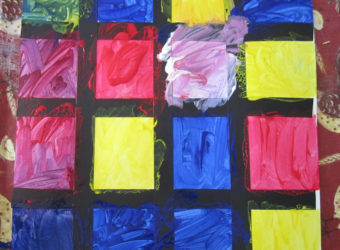 If paint is not an option, you might use colourful tape instead. 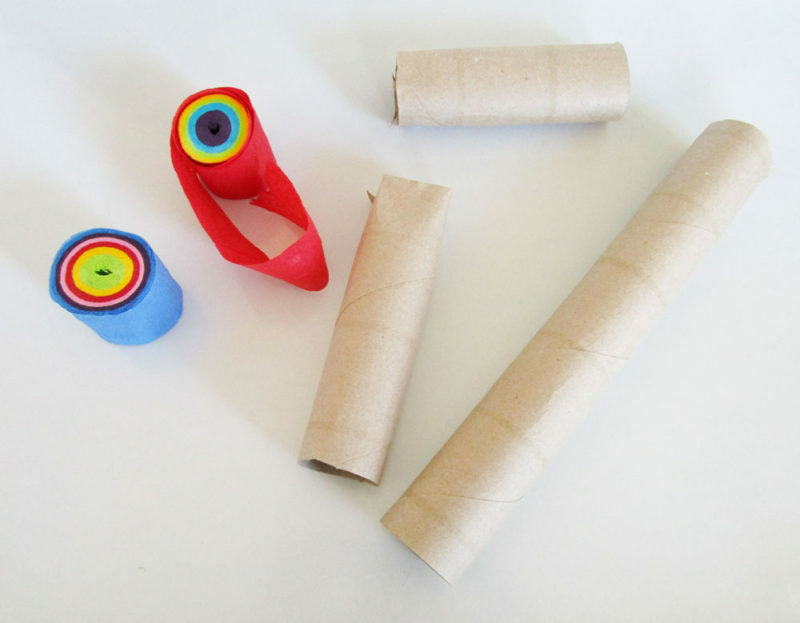 Or you could wrap and glue construction paper or tissue paper around the roll. 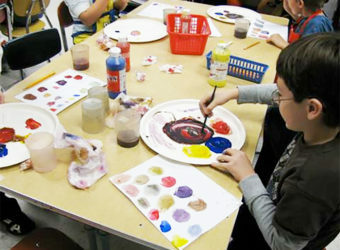 Once dry, pinch the roll flat at one end and lay two to three strips of crepe paper or tissue paper inside. Then add two staples to hold the paper in place, leaving space in the middle for air to travel through. And… blow! As an added bonus, these babies also make noise. Whee! If your blowers don’t blow, it probably means that you don’t have enough space for the air to travel through. Simply open the area (but only a wee little bit) between the staples to fix the problem.